While it is important to practice safety year-round, winter is crucial. Snow and ice can cause falls, driving difficulties, and even health issues. Once the holidays have ended, winter enters its darkest and coldest months. January and February can contain snow, harsh winds, and bitter cold temperatures. Here are some of our favorite winter tips to help protect you from the elements. One of the best parts about working per diem is the change of location. You are able to get a change of scenery and are faced with different tasks every day. While traveling does have its benefits, it can become a little more challenging in the winter. Depending on your travel preferences, your job location may change from day to day. When driving in poor weather conditions, it is important to stay alert. Pay attention to your surroundings, as well as to others who are on the road. Drive slowly; everything takes more time in the snow (stopping, making turns, even accelerating.) You do not want lose control of the vehicle on a slipper surface. Make sure that your tires have enough tread on them and are properly inflated. Click here to see more tips about how to drive safely in the snow. Snow in New England is like sunshine in Florida; it will happen. Make sure you have a snow brush somewhere in case a surprise snow storm comes. Also, it is a good idea to keep some rock salt, sand, or cat litter in your trunk. If your tires get stuck in the snow, these items will help. Just spread some around your tires to help melt the snow. As an added bonus, keeping these heavy bags in your trunk can help you to gain traction if you should get stuck. As mentioned previously, it is also smart to keep some warm clothes in your car. An extra hat, coat, gloves, sweatshirt, or even a blanket can be helpful. If your car gets stuck anywhere, these items will help you to stay warm while you are waiting for help. While this probably goes without saying, it is important to stay warm. Whether you are heading out for an early morning shift, or coming home from a late shift, it is going to be freezing outside. Be sure to wear layers. Additionally, it is a good idea to keep extra layers in your car or your work bag. This way, you have access to extra clothing just in case you need it. If you are placed in a facility where the temperatures are cold, or if you are waiting for public transportation, you will have extra clothing in case you need it. Similar to our blog on Leaf Raking, form is very important. If possible, try to push the snow rather than lift and toss it. If you do have to lift the snow, remember to lift heavy loads with your knees and not your back. Pulling the snow up with your back can cause muscle strain and pain. Remember to take frequent breaks and re-hydrate often. It may be tempting to shovel out everything all at once, but it is important to give the body time to rest. Overworking yourself can cause pain, exhaustion, and dehydration. Winters in New England can be very beautiful; the snow-covered trees, the white mountain tops, and the sparkling winter snow are unique to this area. 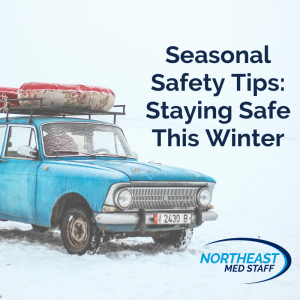 When you practice these winter safety tips, you will be able to enjoy the season to its fullest extent. Thanksgiving is quickly approaching! With all of the hustle and bustle, it is easy to overlook the minor details. 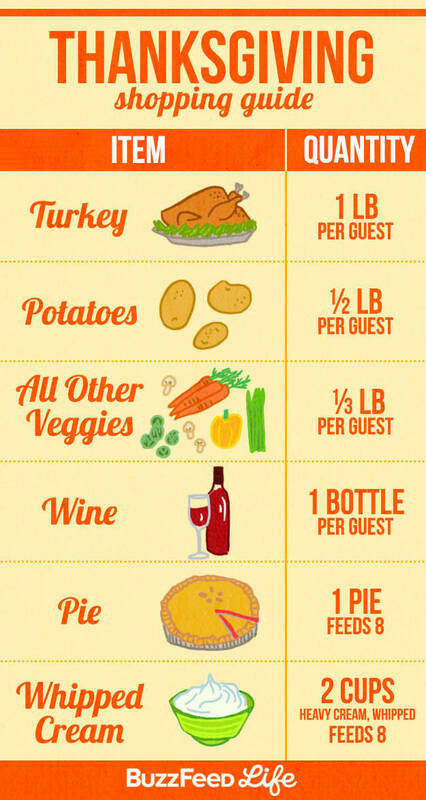 These quick and easy Thanksgiving hacks will help your holiday go by as smoothly as possible. We know the challenges of working and hosting a dinner for the holidays, so we compiled a list of some of our favorite Thanksgiving tips and tricks! Around the holidays, grocery stores are the last place that you want to be. The lines are always long, the parking lot is crowded, and they almost never have what you are looking for. Plus, if you are like most people, you are almost always going to forget one of the most important items on your list. For these reasons, we recommend that you divide and conquer your grocery trip. Split your shopping into two trips. Starting a week or two before Thanksgiving, purchase all of your canned, boxed, and frozen items. Anything that is non-perishable can be purchased in advance and stowed away for the big day. Getting these goods in advance can help you narrow down your shopping list for the week of. This way, you won’t overlook some of the perishable essentials. Also, if you have freezer room, purchase your turkey frozen in advance! This way, you only have to thaw it out the week of Thanksgiving. Take your second trip the week of Thanksgiving. Here, you can purchase your perishable goods: vegetables, pies, and any dairy products you may need. This way you are buying fresh! With a turkey in the oven, and all of your side dishes taking up your stovetop, you may find that you have run out of space for cooking. In these situations, we recommend that you think ahead. Make your mashed potatoes in a slow cooker. 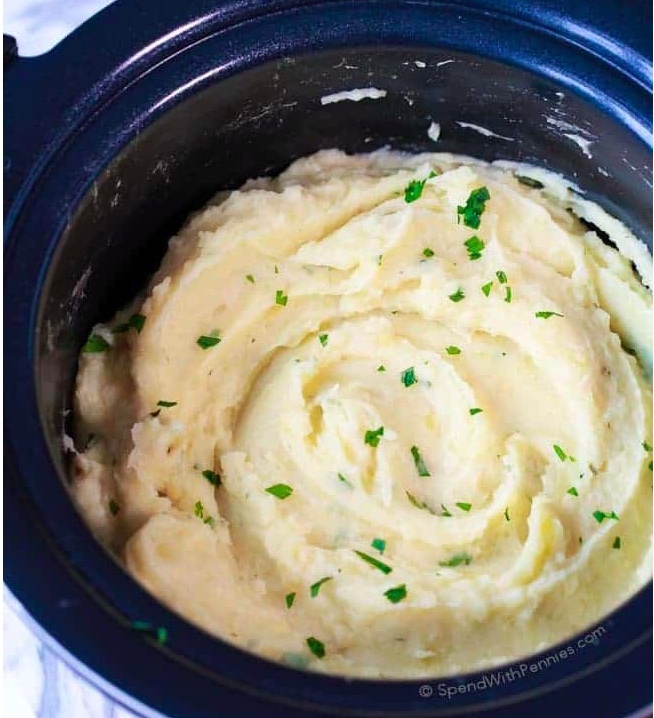 This frees up some space, and you can “set it and forget it!” Try this recipe for slow cooker mashed potatoes. While you may only be expecting immediate family, you never know who may pop in during your Thanksgiving dinner. Family you may not have seen in a while, friends, and significant others may all stop by at the last minute. For this reason, we recommend that you prepare a little extra food, just in case you have a surprise visitor or two. If no one chooses to come by, then you will have plenty of extra leftovers! Many of your side dishes can be made the day before, and then heated up right before dinner time. Start all of your prep work a day or two in advance, and then throw everything in the oven right before you are about to eat! This prep work can be a lifesaver come Thanksgiving Day. This even works for desserts too! Click here for some of our favorite make-ahead recipes. If you know where you will be eating your Thanksgiving meal, put the plates, cups, napkins, and utensils out the night before. If you have the space, you can even fully set your table in advance so that everything will be ready to go by the time dinner is ready. While setting the table is not a huge inconvenience, any advanced prep work will cut down on your stress the day of! 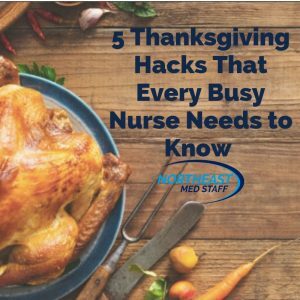 Some of these hacks may seem simple, but it is important to remember them come Thanksgiving Day. These tips and tricks will help you to make the most of your Thanksgiving meal, and spend as much time with your friends and family as possible. On behalf of everyone here at Northeast Med Staff, we hope that you and your loved ones have a Happy Thanksgiving! To find out more about our employment options, click here. No matter what time of year, it is always important to practice safety. Here in New England, Summer has officially ended and Fall is here. The air is getting cooler, the days are getting shorter, and the leaves are beginning to fall from the trees. While the tree leaves are beautiful to look at, they can certainly be a pain in the neck (or should I say, back,) to clean up. The following safety tips will help to keep you healthy during your yard clean up this Fall. Safety begins before you even leave your house. Prevention of back pain and shoulder injuries begins with dressing appropriately. Be sure to wear comfortable shoes with good arch support. Additionally, try to look for shoes that have a “no-slip” sole on the bottom. When the leaves are wet, they become slippery. These no-slip soles will help to keep you stable while raking. It is also important to keep your skin safe. Wear long sleeves and pants to prevent ticks and other bugs from attaching to bare skin. It is also important to wear gloves when handling the leaves. The gloves will help prevent the hands from getting injured by sharp twigs and branches that may be in the leaf piles. Gloves will also help prevent blisters from forming while using a rake. After hours of raking, you may begin to feel yourself starting to slouch. 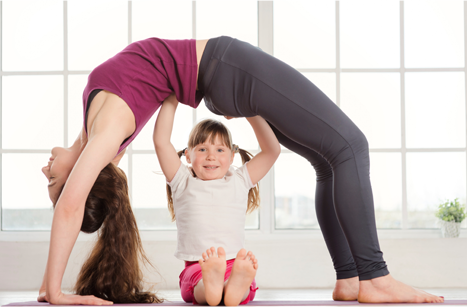 While a more relaxed position may feel good in the moment, your body is going to regret it later. Be sure to stand tall, and distribute your weight evenly on your feet. Switch off between your dominant hand and your non-dominant hand to ensure that you are not overworking one side of your body. When lifting heavy bags of leaves, be sure to always lift with your knees while keeping your back straight. This will prevent you from suffering from a back injury while doing yard work. 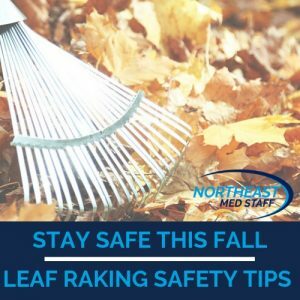 While you may want to try and finish the entire yard in one day, it is best to break up leaf raking over a few days. For example, start on a Saturday, and then finish on a Sunday. When you try to do too much all at once, your body begins to suffer. Your posture will start to slouch, and you may even cause your muscles to strain. When you feel yourself getting tired, take a break. Be sure to stay hydrated and drink plenty of water. When you feel that you cannot do any more, stop for the day and come back to it later. There is no sense in giving yourself a long-term injury for a short-term project. Cleaning up leaves may seem like a long and difficult task. Many people even try avoid cleaning their yards because so much work is involved. However, with these simple tips, you will be able to clean your yard up safely in no time at all. 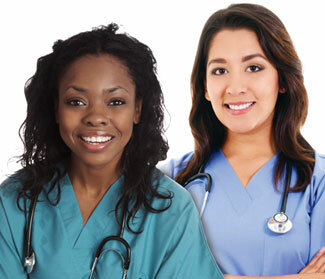 To find out how you can become a member of the Northeast Med Staff nursing team, click here.